Fresh food is something that really appeals to me. Knowing that I have made something from scratch makes meals taste even better. Sometimes, I opt for the easy option; jarred sauces, cans and pre-cooked meals…but I am trying to make the most of using the ingredients we already have in our cupboards. This way I know exactly what has gone into my dish. 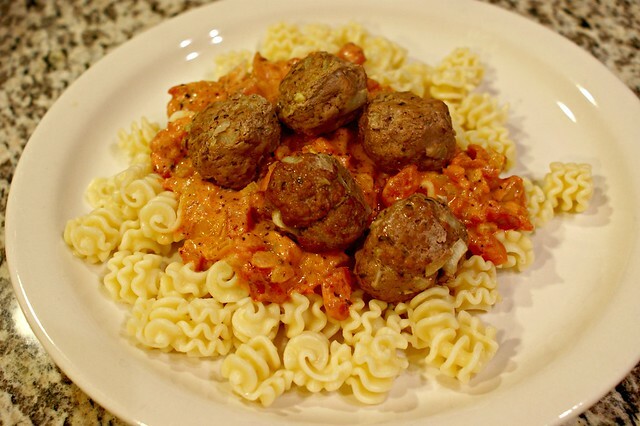 The following recipe is for easy homemade meatballs and pasta sauce. This isn’t out of a book or from a website. I just put a few ingredients together that we already had and it tasted lovely! Meatballs are so easy to make and taste much nicer than the store bought or frozen ones that I have tried in the past. I put all the above ingredients into a bowl and mix them together with my hands. I make sure that I give the beef a good squash; this helps when forming the meatballs. A finely chopped onion works better than large chunks – mine was a mix as I was doing mine quite quickly! I formed the meatballs by rolling a chunk of the mixture in my palms. I got 12 balls out of this mixture; obviously it depends on the size of the meatballs that you roll. Just make sure to adjust the cooking time if they are smaller/larger. Sometimes it helps to refrigerate the balls before cooking; this can help the meatballs stay together when cooking. Place the meatballs on a greased or non-stick tray and cook for 15 minutes at 390°F, turning once half way through. Whilst the meatballs are cooking, you can make the sauce. I made more of a chunky sauce but how you chop your onion and celery is more of a personal preference. 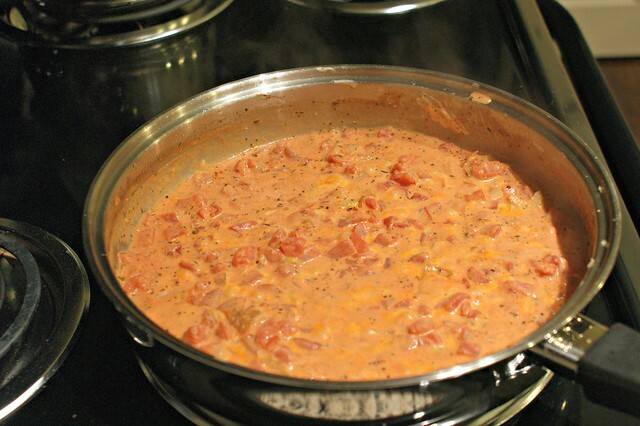 If you don’t like the ‘chunky’ aspect of the sauce, you could always blend it once cooked to make it smoother. I may try this next time! With the oil in the pan, cook the onions and celery until soft and translucent. Add the garlic, salt, pepper, italian seasoning and chopped tomatoes. Bring to the boil whilst stirring constantly and then set to simmer. Once simmering, add the cream cheese and stir until it has melted into the sauce. Continue to simmer on a low heat until your meatballs are ready! 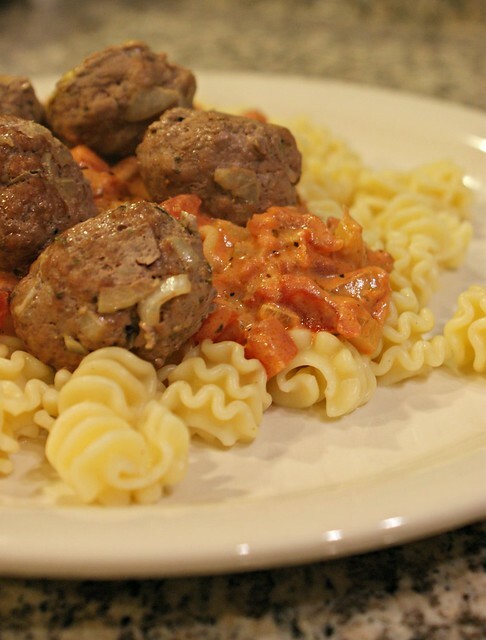 Serve your meatballs and sauce over your choice of cooked pasta. There you go… easy, fresh and delicious! This sounds yummy! I am sure this would also be possible with Quorn mince (or just ready-made Quorn meatballs, for the lazy ones amongst us). I like that your sauce is chunky and I bet the cream cheese works well too. Very nice! 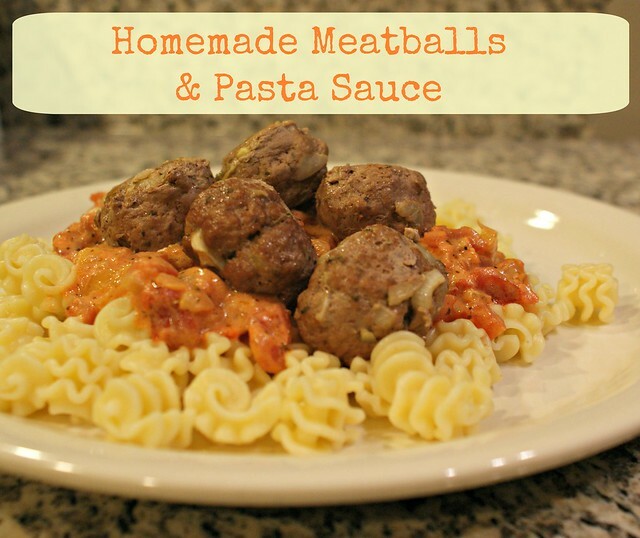 I love homemade meatballs too – so much nicer – what a great idea to add cream cheese to the sauce. I usually have goats cheese in the fridge, I bet that would be nice too.